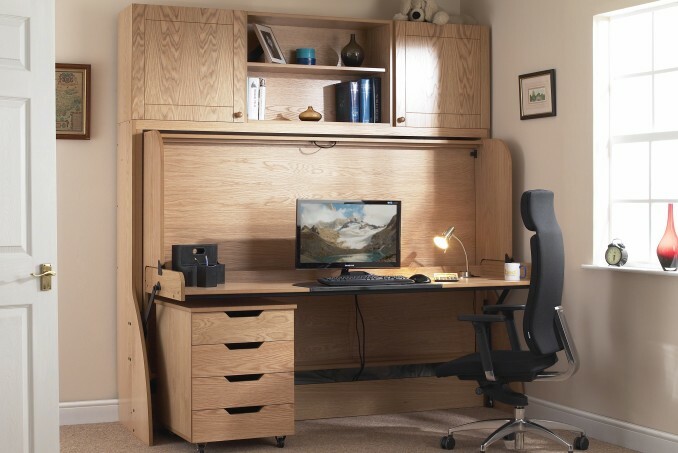 Still very compact as a desk, the Small Double provides either a generously sized single bed or occasional double. 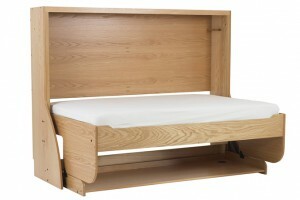 The top rail also provides a very useful wide shelf surface. 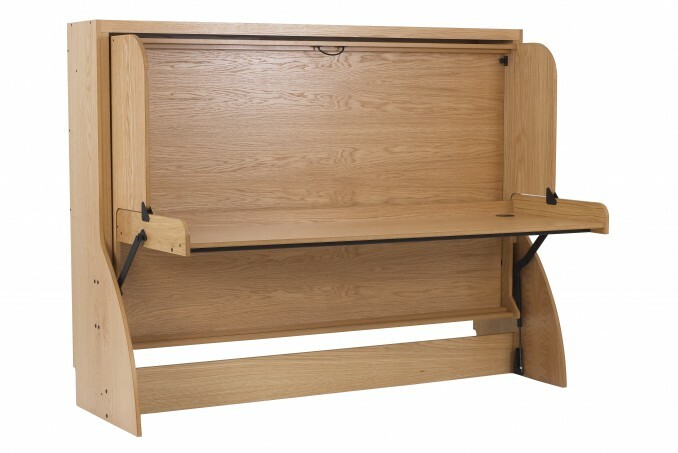 There is plenty of room to attach pin-boards, pictures, posters etc. 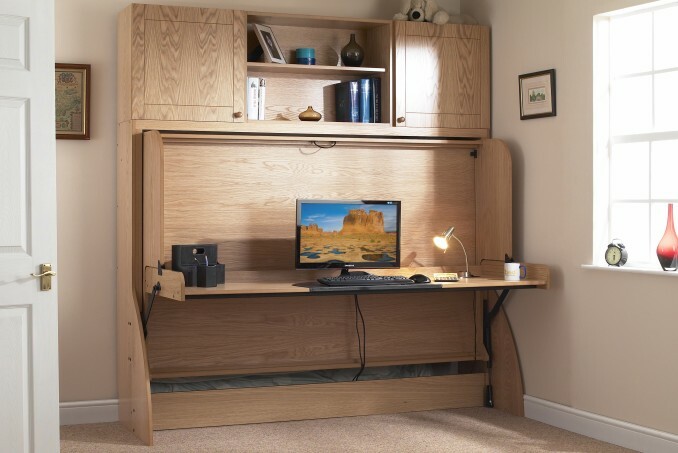 to both the desk and bed backs. 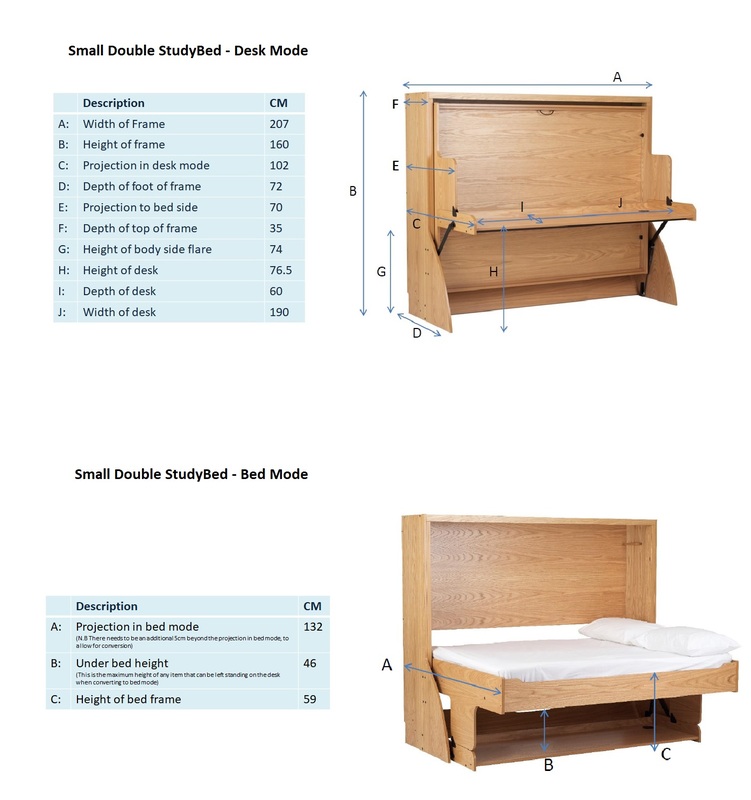 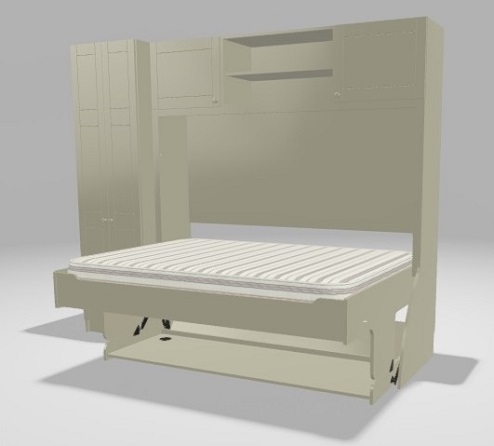 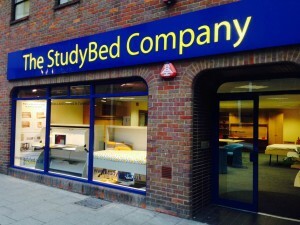 As with all StudyBeds it is very light in operation and can be converted easily in seconds by just about anyone. 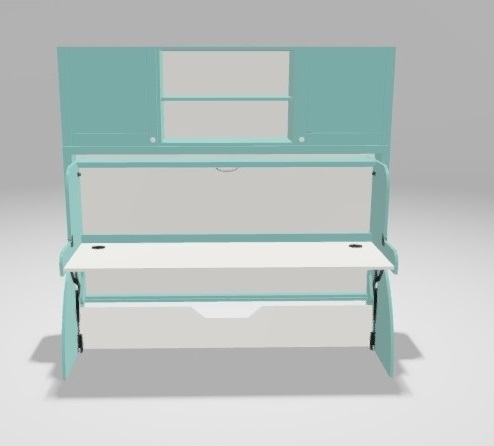 It allows items up to 46 cm to remain on the desk when converted. 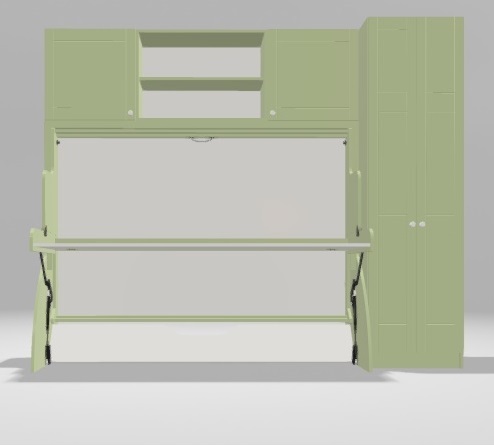 A Top Box can be added to optimise space, likewise a mobile under-desk cabinet.